International Business Machines Corp. (IBM) in collaboration with the Mahindra Group will develop blockchain-based supply chain applications, which the companies claim has the potential to reinvent supply chain finance across India by enhancing security, transparency and operational processes. The partnership will see the two firms working on a prototype tool for tracking supply chain transactions via blockchain. “This proof of concept represents a significant step forward in making blockchain, still a new technology, a more compelling and efficient supply chain solution for Mahindra Finance’s small and mid-sized enterprises loans business. 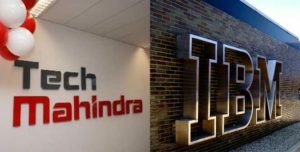 Working with IBM, we will work to build, test, scale and refine this solution over time,” said Anish Shah, group president (strategy), Mahindra Group. The collaboration comes as India’s business and finance sectors continue exploring the technology. Various banks in the country have been testing blockchain for use in cross-border payments and transaction settlement. Other firms, including IT consultancy services of Tata, have pursued various proofs-of-concept, while startups working in the bitcoin space have continued to develop products. Mahindra group has been testing blockchain internally as part of a broader push to investigate new technologies.